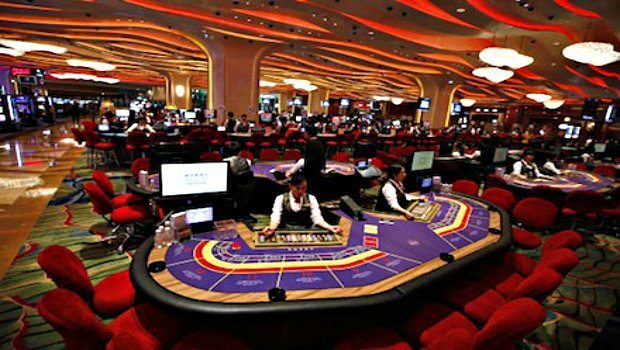 Players planning their first trip to a real-world casino, even those well-versed in online gaming, can fall foul of a number of pitfalls both in etiquette and in gaming. Make sure you're not one of them by reading through our top 10 common casino mistakes. Online casinos give players time to prove their age, but brick and mortar casinos can't offer that luxury. Even those who are comfortably over the legal gambling age may be asked for proof, so make sure you have valid ID with you when you go. Gambling online makes it easy to monitor a bankroll and track overall spending. It's crucial players do the same in the real-world casino environment, as it's all too easy to get caught up in the atmosphere and allow losses to mount up. While the rules are just a click away in online games, that's not the case in casinos. And don't assume that the rules over at InterCasino will be the same as a table in one of the top London casinos. Rules may even vary from table to table. Make sure you check game rules, limits and payouts before placing a bet. As a rule, once chips are staked they should not be touched again. When dealt face down, cards can be examined with one hand; but when dealt face up, you'll be expected not to touch them. It's OK to double check rules and conventions before taking a seat, but asking for advice on how to play a hand is a definite no-no. Aside from the obvious conflict of interest, no dealer wants to be blamed for a losing bet. Thinking quickly in a real-world casino is tough, but players can quickly turn the atmosphere sour by agonising over every turn of the card or roll of the dice. Drinks flow freely in casinos, especially in Vegas, and it's easy to lose track. But gambling drunk is a serious risk, and not just to players' bankrolls. Bad behaviour on the casino floor, or worse, at the table, is rarely tolerated and those who misbehave may well be removed. Some pleasures are hard for rookies to avoid, whereas others are easy to miss. Like their online counterparts, casinos offer loyalty schemes and 'comps' (complimentary freebies) to customers. Check with reception desks or cashiers to see what's available. First-time visitors should avoid concerning themselves with thoughts like, "Why is the guy next to me so chatty?" or "If I bet big now, I can unnerve the dealer". Instead it is advised to focus on individual strategy, the psychology will come once the game flows naturally. Online poker and Blackjack make it easy to vent frustration, after all, a computer screen won't get offended. However, yelling at another player for 'ruining the hand' is rude and, most of the time, wrong. It's also likely to put a swift end to your night. To hone your casino skills further before the big visit, jump online with a Live Dealer at Winner Live Casino today.